Not another endless runner I hear you say! It seems it is the season for endless runners as the Android platform has had a steady string of releases recently ( The Great Martian War, Pitfall! 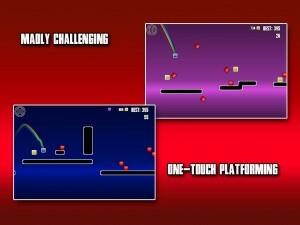 Krave, Hammer Quest) with XperimentalZ Games throwing in their contribution as well in the form of Platforms Unlimited. This game is a procedural minimalistic runner where your main goal is to stay alive as long as possible and rack up the highest scores that you can. 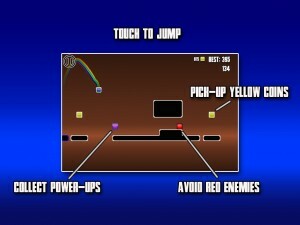 What you do throughout the game is jump over red blobs, which are your enemies. 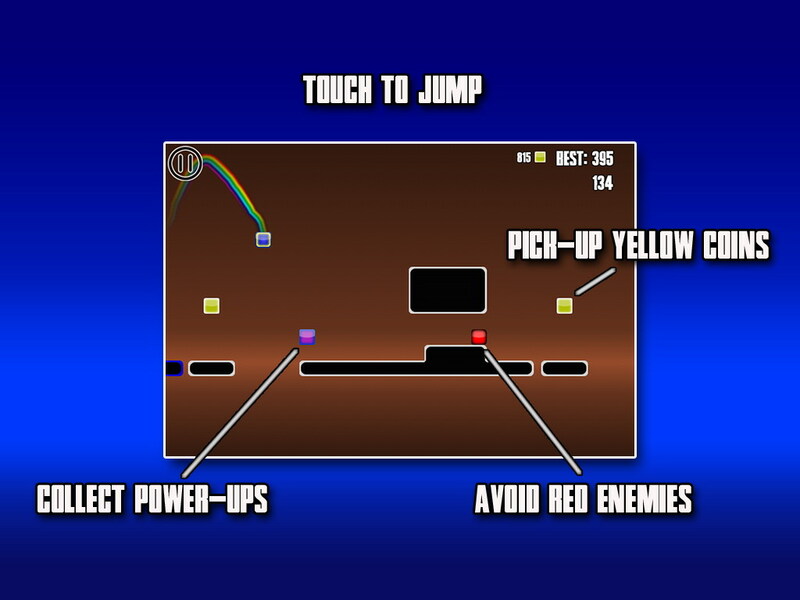 You can also pick up yellow blobs or coins and purple ones that act as powerups. The longer you stay on the screen the more points you score. The relative simplicity of the game is undone by the sheer difficulty in getting your jumps right. It may take plenty of tries before you get it right, but if you have the patience to persist with it, you may find the game oddly addicting. 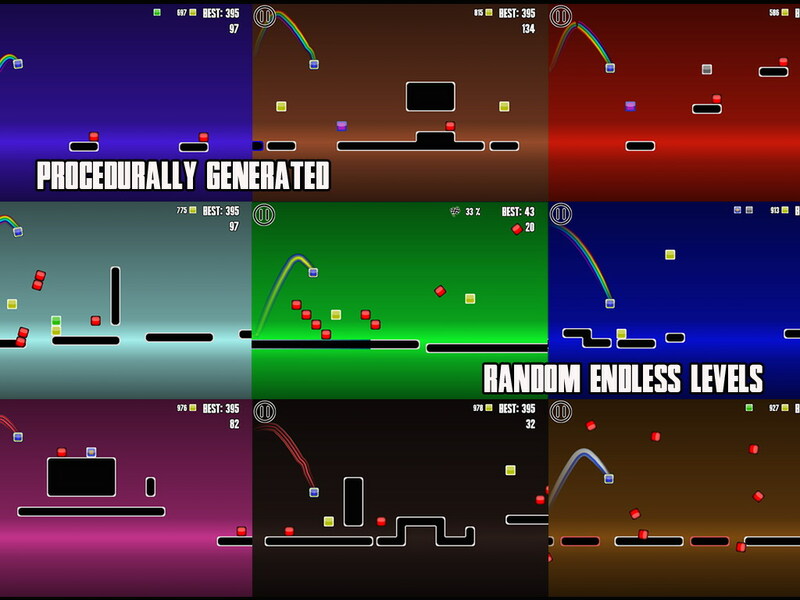 Since the levels are procedurally generated, you may find each game different. There is also a fun Dailies mode that lets you play and beat 3 new fixed levels everyday. You can also complete missions to earn coin rewards which can be used to upgrade your powerups or change the appearance of your trails. 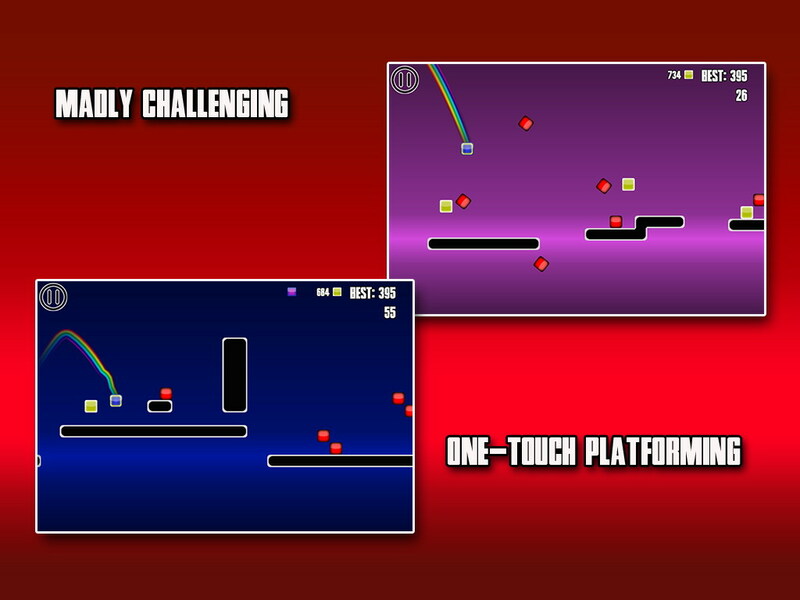 Platforms Unlimited is available on the Play Store for $0.99. 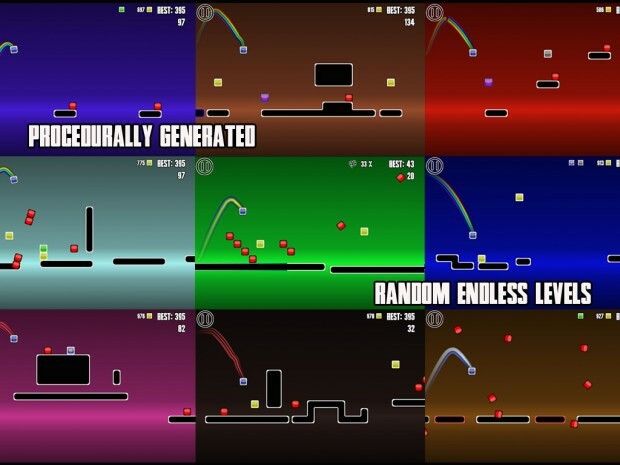 $0.99 · Endless Running/Platform · XperimentalZ Games Inc.